The Roland FP 30 Digital Piano is a travel friendly, compact instrument for the developing musician. 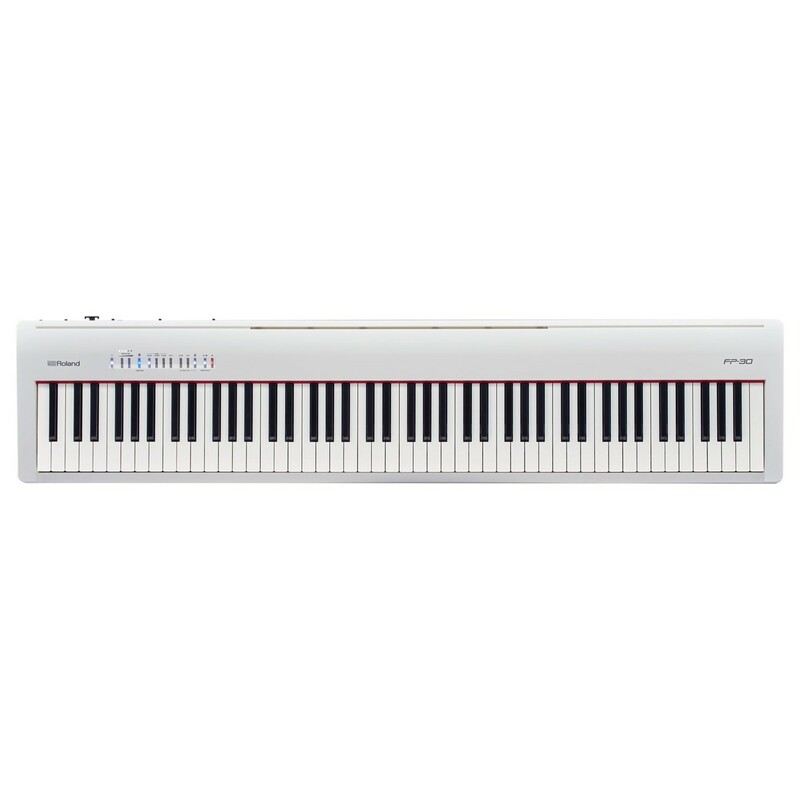 The FP 30 brings all the benefits of a large piano in a smaller, more streamlined package. The fixed touch keys have a weighted feel for comfortable playability. The large number of tones allow each player ultimate versatility and musical freedom to play a variety of different styles on one instrument. Also featured in the package is an X-frame Double Braced Keyboard Stand, Adjustable Piano Stool by Gear4music and headphones. 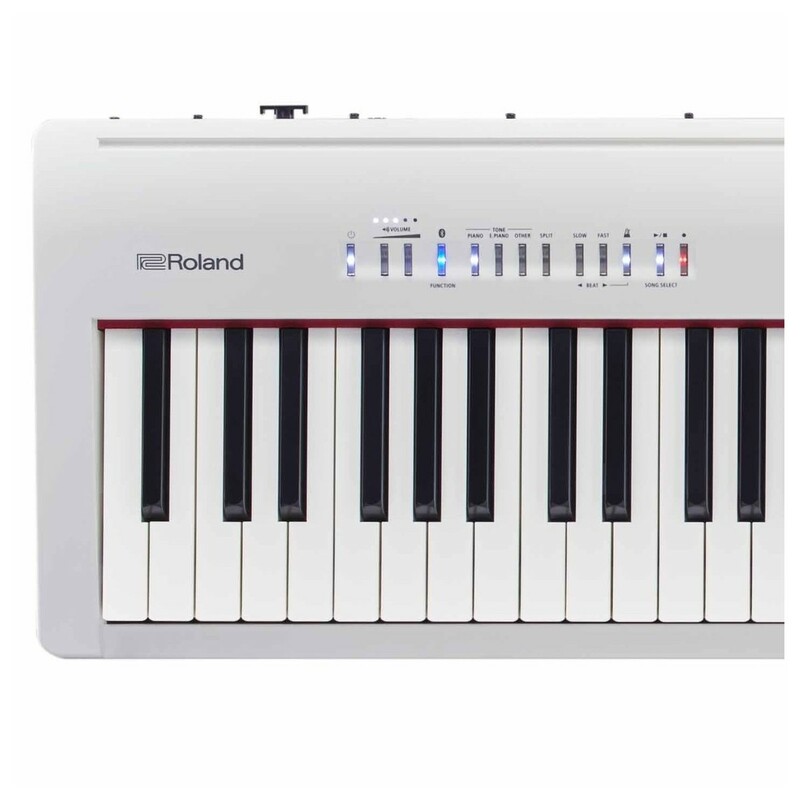 The Roland FP 30 Digital Piano provides the user all the luxury of having a full sized piano but without the necessity for needing a large amount of space or parting with a mountain of cash. 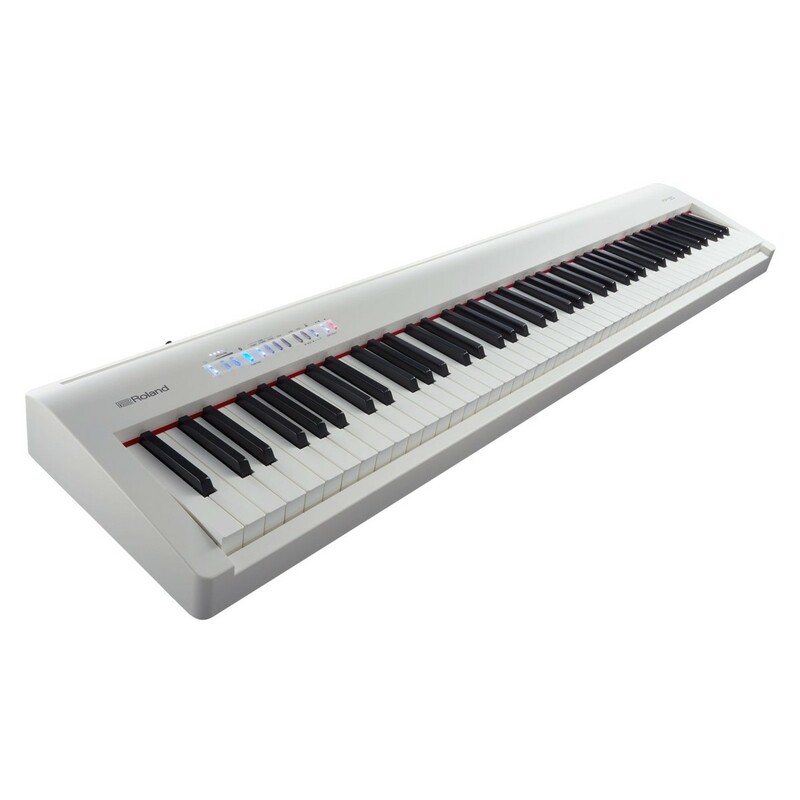 The affordable FP 30 brings a classic Roland sound, feel and abundance of modern features. Adept at fitting into most spaces with surprising ease, the 88-note piano is also light and portable, making an ideal instrument for the travelling musician. As well as these features the FP 30 provides a number of additional attributes such as in built practice and recording facilities. The keyboard also uses blue tooth wireless support in order to operate with a multitude of music apps, providing the user with a comprehensive experience that is both varied and exciting.